Let your guests relax freestyle after an exciting downhill race when you give them Ski Race Drink Tickets at your next winter sporting event. 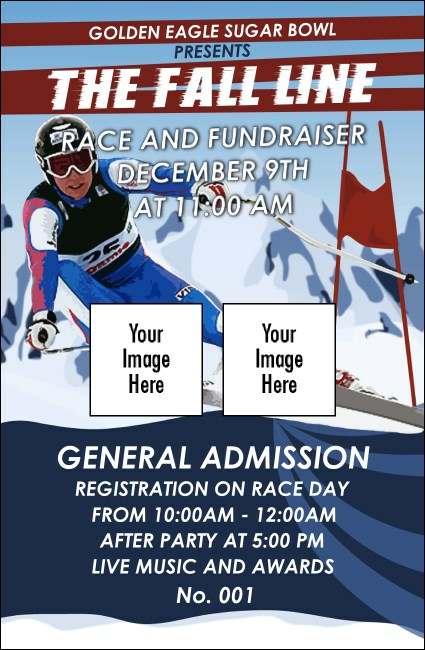 With room to upload two of your own images on a colorful background that features a real picture of a skier making a jump with poles in mid-air, these tickets are the perfect addition to your alpine event. You don’t have to go cross-country to find the right ticket at TicketPrinting.com!